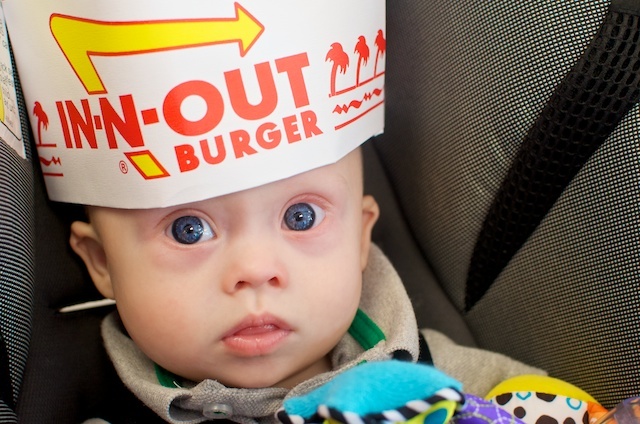 Only in America would a popular fast food chain coming to your town make front page news, but that’s exactly what happened when California based In-N-Out Burger announced they were bringing their popular west-coast burger joints to the Dallas area. One of their new locations opened up about ten minutes from our house last week, so we decided to head over and see how long the wait was. The traffic for the drive through circled around the building and on to the exit lane of the highway! However, despite the popularity of their drive through, the wait to eat inside was only about ten minutes, so that’s what we did! My wife and I are first time parents, so we are learning new things about parenthood every day. For instance, today I learned that pushing a stroller thorough a crowded dining room is fun. (Not!) By the way, being a parent has opened my eyes to all kinds of architectural fails…..such as the lack of elevators and stroller (wheelchair) ramps at malls! Ugggg….! But I digress. This is what I call a burger! 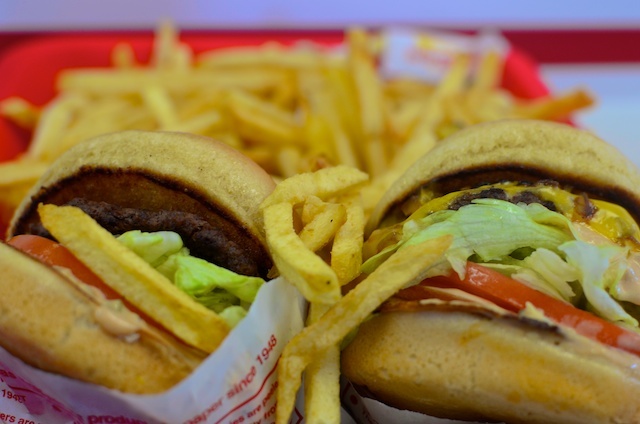 We hung out at In-N-Out burger for a while enjoying our delicious burger and fries…..and thinking about how many hours on the elliptical machine it’s going to take to work this lunch off! After lunch we took Noah swimming at Baylor Tom Landry Fitness Center, which by the way, he really enjoys! This was one of Saturdays I really enjoy. The schedule was empty. My wife and I were both off from work. We got to hang out. Rest. Play. Eat. Swim. (and cuddle with our little Noah.) The weeks are so busy with work, various therapy appointments, school, and other projects we have going on, so weekends like this are much appreciated when they come along! Time to go hit the gym! 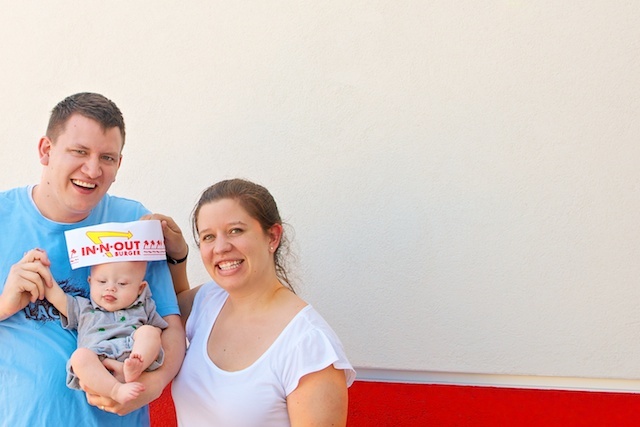 1- OMgoodness I want an In and Out to come out to Colorado so bad! Of course that would be bad for me and then there’d be no reason left to go to Vegas lol! 2-Noah has absolutely beautiful eyes!! 3-How has it gone fitting in all the physical therapy with you both working? I’m worried I have lost my chance to have a career because I’ll need to spend so much time doing the therapy type stuff.